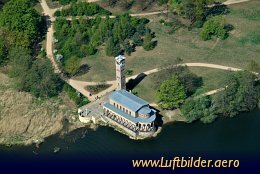 The church in Sacrow was built in Italian style with a freestanding campanile in 1844. During the cold war it was situated in no mans land and could not be visited. 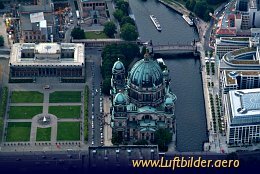 Berlin Cathedral (german: Berliner Dom), located on the Museums Island to Berlin, was built in 1905. The foundations walls are dated back to 1465. 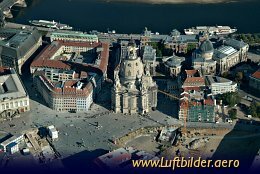 Under Wilhelm II the building was destroyed and rebuilt as a counterpart to the St. Peters Cathedral in Rome.